Experiencing same issue here. I have also seen multiple feedbacks regarding this issue (contacts not syncing on Airdroid) at the Playstore. 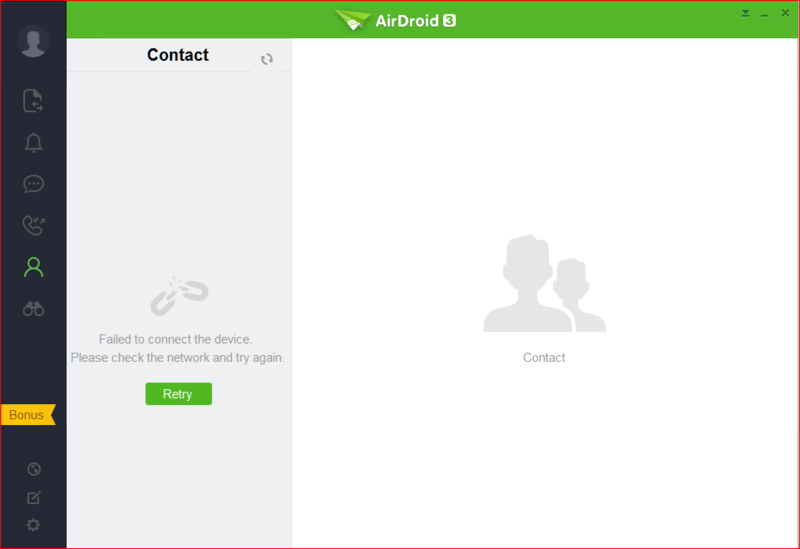 Using latest version of Airdroid on both PC and Android phone. You mean you can't see contacts with AirDroid Win? Can you attach a screenshot? As to the contact created successfully on your phone but doesn't sync to web, please refresh and try again. And if the contact you created on your phone doesn't include a phone number, the contact will show in "All" category of Contacts. Here is a screenshot. I too have the same problem. My phone is a Lenovo A536 and working on a Linux PC. I tried it in Firefox and Chromium. Do you have a large amount of contacts? And you can try web.airdroid.com/2.0.9 to see if you can load contacts normally. 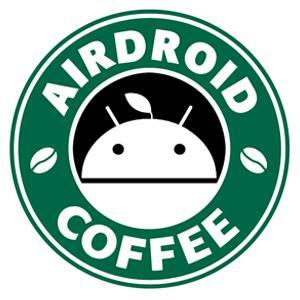 The same issue with latest AirDroid for Win. Web version: Current doesn't work, 2.0.9 works well. Last edited by poliss on Mon Jun 08, 2015 8:51 am, edited 3 times in total. 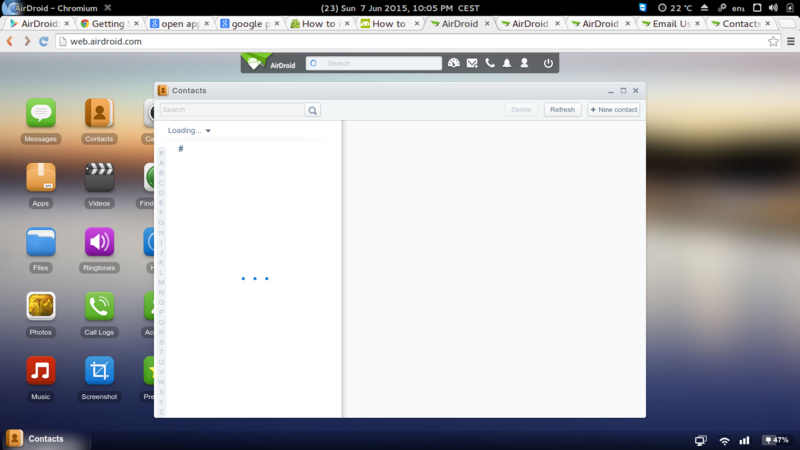 Can you load contacts normally with http://web.airdroid.com? Can synchronyze with http://web.airdroid.com.com/2.0.9 after clearing App data on phone. Got it. Thanks for the continuous feedback. I've forwarded it to the developers.